Bruce Doyle and Elizabeth Shearer are the people behind Doyle Family Law. Through our incorporated legal practice Shearer Doyle Pty Ltd, we operate Doyle Family Law, and our associated practice, Affording Justice. We are fortunate to also have Pat Marrinan working with us as special counsel. 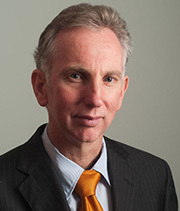 Bruce Doyle is well known in the Australian legal community as President of the Queensland Law Society (2011) and a Director of the Law Council of Australia (2010-11). He is also a former president of the Family Law Practitioners Association of Queensland. Bruce has been in legal practice since 1983 and has been accredited family law specialist since specialisation started in 1996. He has spent most of his career in private practice as a family lawyer, but he was also solicitor in charge of Family Law at the Northern Territory Legal Aid Commission and Deputy President of the Queensland Children’s Services Tribunal. Bruce practises in all aspects of family law resolving parenting and property issues. He has particular expertise in child support law. Bruce is also an experienced mediator and practises as a collaborative lawyer. Bruce also has a long-standing interest in access to justice and he is a regular volunteer at a community legal service. He was also chair of the Queensland Law Society’s committee on Access to Justice and Pro Bono Services, and was a member of the Law Council of Australia’s Access to Justice Committee. 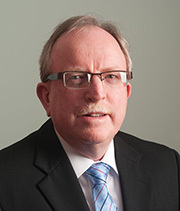 Pat Marrinan has been in legal practice since 1978. He ran his own general practice at Kenmore for 28 years incorporating a substantial family law section. In addition to his breadth of general practice experience, Pat is an accredited Family Law Specialist. Pat’s experience of running his own successful business gives him a keen understanding of commercial reality. This is of particular benefit to small business people, whether they are considering a pre-nuptial agreement or going through a family law property settlement. His broad experience in commercial law and property law is also of immense value to family law clients. Pat also practises in the area of wills and estates. Pat continues to serve his client base in the western suburbs of Brisbane and is available for appointments in Chapel Hill as well as our city office. 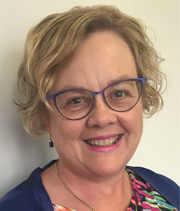 Elizabeth has been a solicitor for over 30 years and spent 14 of those years working at Legal Aid Queensland, where she was Director of Client Information, Advice and Civil Justice Services. Elizabeth’s experience is in the law as it impacts on people’s everyday lives with a focus on family and civil law problems. She is active in the legal profession as a Senior Counsellor, providing guidance to other solicitors about difficult practice issues. She is the Chair of the Queensland Law Society’s Access to Justice Pro Bono Committee, and a member of the Ethics Committee, the Professional Conduct Committee and the Practice Management Course Committee. She was a QLS Councillor from 2014-17. She is also a member of the Supreme Court Library Committee, the Law Council of Australia Access to Justice Committee and the Professional Standards Councils. Elizabeth has pioneered new ways of delivering services to provide high quality legal advice as economically as possible. Elizabeth spends most of her time working with our associated practice, Affording Justice, but she is also available through Doyle Family Law to conduct general practice matters that fall outside the scope of Affording Justice.